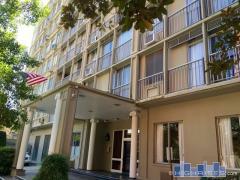 625 Saint Charles is a 2002 high-rise located across from Lafayette Square. 625 Saint Charles offers a number of amenities including garage parking, an indoor swimming pool, concierge service, a board room, beautiful reception hall, and much more. Have any comments or questions about 625 Saint Charles? Ask your question and/or share your thoughts about this Building.